Our Organic Ghee is hand made according to traditional Ayurvedic methods – Made from 100% Certified Organic Unsalted Butter sourced from New Zealand Grass Fed Cows. Ghee is known to stimulate a healthy digestion tract, is rich in Omega 3 and 9 essential fatty acids and is full of antioxidants and anti- inflammatory properties that support a healthy immune system. Use in place of normal cooking oil. Ideal for healthy cooking due to its high smoke point. 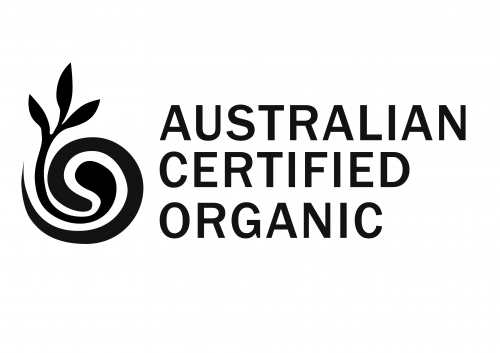 Made with love in Byron Bay all our products are Australian Certified Organic. We care about what goes into our products, our bodies and our families. We are proud to produce quality products that taste good! All our packaging is recyclable and the plastic 1kg and 2kg tubs for our Ghee are BPA free. A wholesome and nourishing blend of Certified Organic 'super' ingredients packed full of goodness and body healing properties. This delicious alternative to bone broth offers a highly nutritious, anti – inflammatory, gut friendly blend of ingredients packed with essential vitamins and minerals. An easy way to add much needed nutrients to your favourite foods to help boost your immune system. I feel so blessed and have much gratitude to be able to live in the stunning and unique Byron Shire with my three beautiful children. Being a student of Ayurvedic medicine, I have been making my own Ghee for some years for friends and family. I noticed there was no good quality and Organic Ghee available on the Australian market. So I created my Sol Ghee brand, its name sake born from my third child and beautiful baby boy, Sol. In honouring the tradition of making artisan Ghee, I choose to hand make Sol Ghee during a full or waxing moon when possible, in a peaceful environment with blessed intention. It is thought that the influence of bright and waxing moon amplifies the elemental healing qualities and taste of Ghee. SOL ORGANICS now also lovingly make Turmeric Latte mixes, Dhal and Kitchari mixes and Vegan Broth with more exciting creations on the way. I hope to raise awareness and share knowledge about the amazing health benefits of Ghee and other Ayurvedic health products. I hope you enjoy it as much as my family, friends and I do! Website By Sustainable Agency "The Culture Creators"